He visits children everywhere – those near and far away. 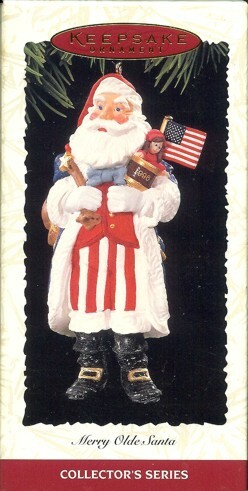 Right now he’s celebrating Christmas in the U. S. A.! So that’s why Santa’s all decked out in stars and bright stripes, too. He’s spreading cheer across the land that loves red, white and blue!